Nigeria is finally out of recession. 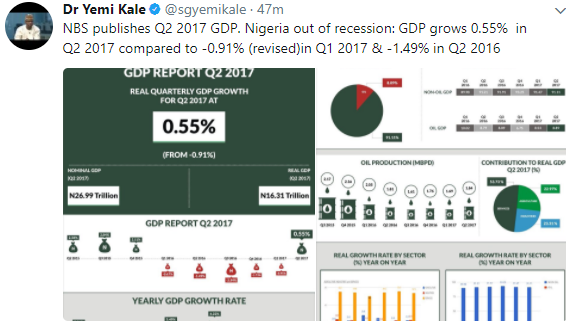 This was revealed by Dr. Yemi Kale, the Statistician General of the Nigerian National Bureau of Statistics, via his twitter handle. This is definitely a welcome news, yay!